Years ago, when I first thought about writing this story, I played with the idea of calling it, The Once and Future Queen. It was to be a story about triumph and the destined resurgence of one of the world’s greatest forgotten wines. Sadly, over the last year, it has felt more like a tragedy than a triumph. As I began, the focus of my piece made an unexpected, yet natural turn. It became about the dream of a boy that seemed to have been born for a special moment: the resurrection of Northern Piedmont’s lost wine queen. Maybe if he were making wine from a famous place, like Barolo, or Brunello, instead of some nearly forgotten wine regions in Northern Piedmont, he would’ve already been on the front page of one of the wine industry’s honorable publications. Seventeen years ago, this thirteen-year-old kid from nowhere found himself in a bookstore staring at a wine journal. The publication was written by the most revered Italian wine writer of the time, Luigi Veronelli. He walked out of the store, book in hand, and began his unexpected journey. Five years ago, my business partner and I were in search of a new Italian importer. The importer we had recently started to work with was on his way out after a series of untimely decisions. A good Italian friend introduced us to a reputable chap, Oliver McCrum. After a phone call with Oliver, I headed north to San Francisco to taste the range of his selections. I walked into a room bustling with a lot of the city’s best wine buyers. I introduced myself to Oliver before I began to taste through all of his selections to get a quick first impression. After about 100 wines, I could tell we shared the same taste – it was an impressive and thoughtful selection. A couple of weeks later, he brought a load of cases down to Los Angeles. He wanted to show his wears over a two day tasting to our crew and some of our favorite sommeliers. We started our tasting with the wines of Northern Italy. First, we tasted the great tension-filled whites and silky earthy and airy reds of the Alto Adige. Then, we moved on to the wines from Piedmont. As expected, we worked our way through this region’s popular brothers from another mother, Barbera and Dolcetto, as well as some less well-known grapes, like Freisa and Grignolino. 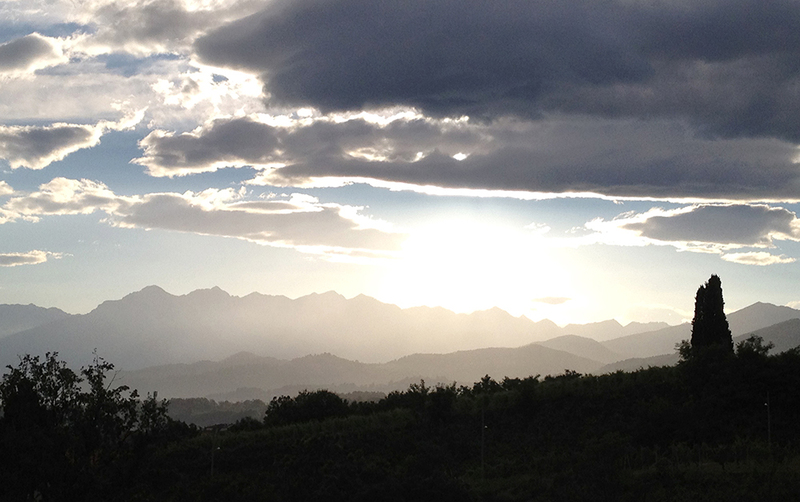 As one might expect, we finished our tasting with Piedmont’s prized Nebbiolo-based wines. Oliver’s Barolo and Barbaresco producers were great. To my surprise, however, they were not the wines that garnered the most attention from this group of tasters. The showstoppers were an unexpected set of Nebbiolo-based wines grown about an hour and a half by car further to the north from Barolo and Barbaresco and into the Alpine foothills. These wines bore the unfamiliar names, Bramaterra and Lessona. Upon first sniff, there wasn’t a gush of power with the familiar Langhe scents of sun-touched sweet rose, tar, red and black fruits, truffles, tobacco and a heavy pat on the back from an old, hard Italian winemaker. They were softer and more delicate. A gust of Alpine wined seemed to carry them. The aromas were decorated with scents of wild roses and violets, high-toned licorice and wild, sun-scorched red berries. In the Bramaterra wines, the classic Nebbiolo notes of fresh tar transformed into the smell of rainwater evaporating off a volcanic outcropping on a hot summer day. The impression of earth was like hot iron in the nose and the mouth was a plate of bloodied metal armor fresh off the battlefield. The power of the Bramaterra wines were humbly wrangled into fine and elegant expressions of Nebbiolo, blended with Vespolina, and a dash of Croatina. The Lessona wines took it to another level. Cristiano’s parents started to worry about their thirteen-year-old son. A few days after Cristiano started reading through Veronelli’s journal – while other kids his age were buying comic books and candy – he found himself in wine shops spending all of his money. It became even more alarming to them when, somehow, he convinced a friend and his older brother, Daniele, to take him to a different sort of “candy shop.” With the guidance of Italy’s famous wine publication, the Gambero Rosso, he created a list of wine producers to visit. On April 4th 1997, at five o’clock in the morning, the three boarded a train to Verona. Young Cristiano was on his way to Italy’s single greatest wine event, Vinitaly. He fondly recounted to me that the Barolo producers who tasted their wines with him that day were very friendly and treated him respectfully, despite his young age. He also noted, “I think I tasted 128 wines that day. I was completely drunk.’’ Today, it would be impossible for a thirteen-year-old kid to find his way through the doors of this event. Almost every month after Vinitaly, Cristiano’s brother would drive him into the Langhe to visit with Barolo and Barbaresco producers. With his usual sarcastic tone, Cristiano reminisced, “I spent all the money my parents gave me on Barolo from the 90’s – so, very oaky, very fruity, and almost undrinkable wines. I have a lot of bottles at home still. I don’t know what to do with them. You can’t drink them…” In the early summer of that same year, he started tasting with the Italian Sommelier Association. “Little by little, I was entering into the wine world,” Cristiano reflected. That September he made his first harvest in a small vineyard and also began his first year of winemaking school at the Scuola Enologica di Alba. Not too many years before Cristiano began his journey into wine, another great wine journey began. Three million years ago, towards the end of the formation of the Alps, the finishing touches of these mountains were being formed: The Alpine foothills. Often times, when major geological shifts happen, it can stir up the cauldron of molten rock below the earth’s surface, and on occasion, Mother Earth spews liquid rock all over the place. During that particular eruption what is today’s Piedmont Basin was submerged under the sea. On these volcanic hills, the formation of a beach, made of yellow marine sand of previous volcanic origins, had begun to develop. Soon after that, roughly 800,000 years ago, there was another eruption that changed the face of that beach forever. Today, on this newer set of volcanic hills, you will find wine regions that bare the names, Bramaterra, Gattinara, and Boca. These regions are all set upon this porphyric volcanic rock from the last eruption. As fate would have it, one spot on this beach was spared eternal damnation underneath this flow of magma – this spot is called Lessona. Before the turn of the 19th century, Lessona was considered by many wine writers to be one of the greatest red wine producing appellations in all of Italy. Some saw it as the greatest of that time. Indeed, most of Italy’s great red wine producing regions of today – Barolo, Barbaresco, Brunello, “Super-Tuscans” and so on – have largely built their reputations in the 20th century rather than the centuries before. For dry red wines, one exception seems to be Brunello. However, with only four wines bottled as “Brunello” from 1888 to 1945, it’s hard to count this as a significant appellation of that time. Lessona, on the other hand, is well-documented by a few writers towards the end of the 19th century. “… I’m not simply persuaded, but convinced that the grape of the Biellese district is on average better than any other grown in the entire peninsula…” – an excerpt written by Luigi Piemonte in his book, “Il Piemonte Agricolo” published in 1893 (1). Marescalchi, who wrote a book called “The Greatest Wines of Italy” said, “Tasting a series of six splendid wines (1865, 1870, 1879, 1892, 1894, 1900) made by Cav. Dott. Felice Sperino we came to the conclusion that if we plotted a line for each Italian wine, that linked all the different stages in the age of the product, we would see that for all the great Italian and foreign wines for roast meats, this line would rise gradually to reach the level of perfection, and then at a certain point drop and lead almost directly to decrepitude – the line representing the career of Lessona would not follow this course: it would rise gradually like the others, but on reaching the level of perfection would remain there, for a long time, even 20-25 years, then instead of falling off so rapidly, would ever so gradually begin to rise even further.” (1) This excerpt was written in 1905 – a year to remember in the Northern Piedmont wine industry. One single day in 1905 marked the end of the golden era of Northern Piedmont as the wine production in Lessona, and the other great appellations of the North, came to a screeching halt. The farmers from this region were already facing tough times. Indeed, at the close of the previous century, phylloxera delivered a crushing blow when it destroyed their vineyards. On that day, a hailstorm of epic proportions devastated the entire area of newly replanted vineyards. This second scourge finished off all of what was left for these farmers to hold on to. For most, there was nothing left to do but leave. After World War I ended, Italy’s industrial revolution followed and, between 1920 and 1950, this demoralized and war-torn workforce found their way into Milan and Turin. The vineyard land in the north gradually decreased from forty-five thousand hectares of vines to the mere five thousand hectares that are there today. It is incredible to think that this wine producing area used to have more vines than modern-day Champagne and Burgundy’s Cote d’Or region, combined. Today, the planted vineyard land is similar in size to one of Burgundy’s other smaller sub-regions, the Maconnais. This massive loss of vineyards paved the way for Nebbiolo’s new, soon to be crowed king and queen, Barolo and Barbaresco. Last month, as Cristiano and I drove down San Vicente Boulevard towards downtown Los Angeles, I asked him how it all started. Why wine and not wood carving (as he liked to do as a kid) or a racecar driver (which he sometimes thinks he is when we drive around the hills of Lessona and Bramaterra)? He said that his father was a high school gym teacher and his mother a secretary. They weren’t in the wine industry and wine was rarely on the dinner table. As he searched his past for a link to wine, the only thing that he could drum up was that his grandmother used to drink a lot, but he admitted it wasn’t really much of a connection. So, how does a thirteen-year-old boy stand in the best wine shop in Turin the day before Christmas in 1996 and put 40,000 lira ($22 euros today), all the money he has, on a single bottle of Barbera d’Alba? Just as it is written in certain terroirs to produce world-class wine, there are those who have a calling to make great wine. Unlike many great winemakers, Cristiano did not directly descend into wine, he was born for it. 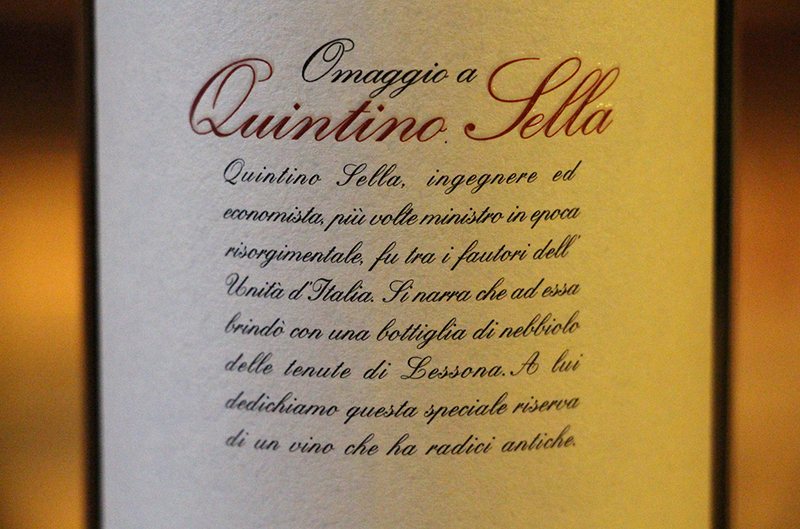 By 2008, Cristiano was on board and Tenuta Sella began to gain a tremendous amount of praise from the wine community. He helped with the finishing touches on the top cuvées from 2004 to 2007, which were some of the early wines that we had tasted with Oliver. With every vintage, the purity of the wines became increasingly more singular and spectacular. In particular, the top two Lessona cuvées, San Sebastiano allo Zoppo and Omaggio in the vintages 2004-2006 became a focal point of mine. Their structural elements were fresh with acidy and beautifully sculpted tannins. The aromas were high-toned and noble – to my inner Francophile, they tasted as much of French origins as they did Italian. Before Cristiano entered their world, Sella was on to something. When he started sticking his nose in, their wines stood up straight and became refined and confident. He began crafting their wines to a level of cut and individuality that I had never tasted before with a Nebbiolo-based wine. My good friend Max – the great restaurateur who introduced me to Oliver – commented with his heavy Italian accent, “the thing about these wines is that every time you open a bottle, you have high expectations because of the last one you drank. When you first smell and taste the wine, you are left wondering if you made a mistake because the wine isn’t showing much. Then, about halfway down the bottle, the magic starts to happen again. It is like this with every bottle.” It’s true, she is constantly playing hard to get and that’s why they are such a pleasure to drink. Every time, it’s a chase. You know it is going to be this way when you pull the cork but still hope that you won’t have to wait to enjoy the depth of her beauty. She always demands your patience. If you give her that, you will be treated to something uniquely special; you will fall in love with her over and over again halfway through every bottle. On my last visit to Lessona, Cristiano and I tasted through the new wines, which were simply stunning. It was clear that Cristiano was making even bigger strides. These wines, which were either in barrel or recently bottled, were not to be released for quite some time. This was a real drag because I wanted to sit with them soon to get my head wrapped around what he was accomplishing with these magnificent terroirs. However, throughout our great day of tasting and touring, I could feel there was something off. We drove to Biella to have dinner at one of the region’s best restaurants, La Mia Crota. It is a great restaurant where I usually eat whenever I visit Cristiano. At this point in our friendship, I had known Cristiano well enough to feel comfortable prying into why he seemed unsettled. In his typical fashion, Cristiano spoke frankly. He told me that Sella was making business decisions that contrasted too much with his vision for the estate. He said that the last year had been a very hard year for him. I could tell he was disappointed because he thought he was losing his grip on things. I think he also felt that the international success he brought to Sella was starting to work against his ideology. It seemed clear what was on the horizon. His inevitable departure from Sella seemed to be the end of a dream – not only for Cristiano, but for all of us. 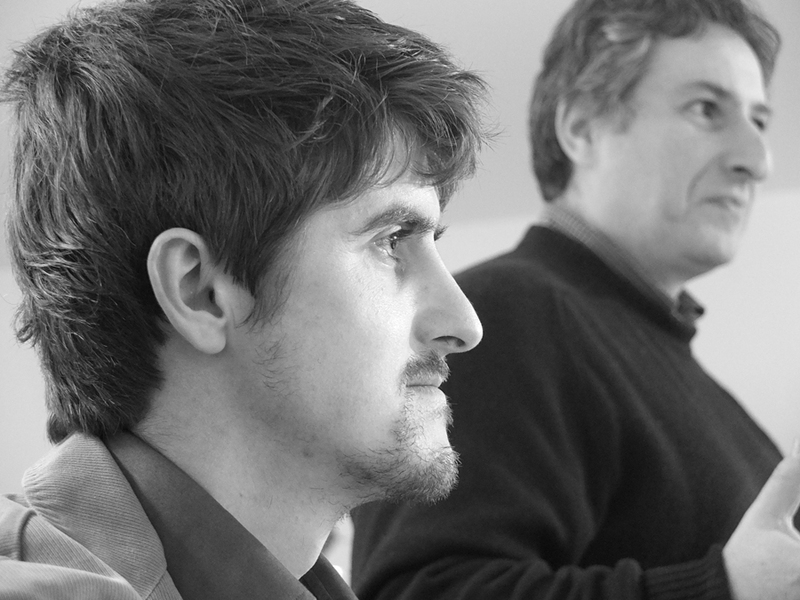 Cristiano (left) and Gianni Fabrizio, the chief editor at the Gambero Rosso wine guide. Photo courtesy of Nicolas Herbin. Those of us enamored with Cristiano’s wines felt like we were losing something we loved. It was a hard pill to swallow: these unique, young wines from Sella’s historic old vines made by Cristiano would slowly become a distant memory instead of a reoccurring sensation with the release of each new vintage. With the opening of each bottle from our cellars, despite the subtle perfection of the last sip, will likely be bittersweet, as it is hard not to dream of what could have been. Cristiano’s departure was a big blow to everyone who preached the Sella and Lessona gospel. Their wines seemed to single-handedly revived the interest in northern Piedmont wines, at least in the California market. I can tell you that five years ago, there was little mainstream interest in what was going on in this region. Sure, there were greats, like Robert Ferrando’s Carema wines, but he was an outlier on the northernmost border of Piedmont, and much closer to the Valle d’Aosta. Once Oliver got ahold of Sella, they became an overnight sensation in Los Angeles and San Francisco. Shortly after, New York came into play with the affluent importer, Doug Polaner. Then, more states started to pick up the wines. The newfound interest for these wines triggered a gold rush: Italian importers flocked to the region the way the French importers were racing off to the Jura at the same time. It was a moment of renaissance and I believe that Cristiano, Lessona, and Sella were a major force driving this exciting return to the wine goddesses of Piedmont’s Alpine foothills. The wine proverb “there’s always another vintage around the corner” is not always reliable. Fortunately, when I got the news about Cristiano’s departure from Sella, I was able to procure a good amount of provisions from these historic wines. Undoubtedly, they will continue to age and get better. At one point, however, they will start to fade into a slow, but certain, death. I already feel their taunt before I pull a cork of one of these irreplaceable bottles. Like the memories of a failed romance, perhaps these wines will only turn into quiet reminders of past times when I discovered a new love and the loss that followed. This may seem melodramatic, but I feel loss for the particularities of a specific range of unique wine characters that I may never get to experience again. It’s that perfect love that you unexpectedly lost but keep seeing bits and pieces of her in the ones that followed; they will never quite fill the obsession of the one you never wanted let go of. There are others who will have to carry the torch in our generation on behalf of Lessona. One of the strongest is Sperino, another historic estate also finding renaissance through Luca De Marchi, the son of the famed Paolo De Marchi from the Chianti estate, Isola e Olena. I have tasted the wines many times and they are promising. However, I feel that they are made in a way that doesn’t yet express the full range of fresh and precise, high-toned fruits and flowers that made Sella’s Lessona wines so special to me. It was clear from the start that Cristiano saw Lessona’s rare gift of purity and precision and he exposed those assets for everyone to see. A year after his departure from Sella, Cristiano made a trip to California to show some new wines he was working with. Because the future of Sella was unclear, Oliver started to import new producers that Cristiano is working with – one is La Prevostura. It was a pleasure to taste again the magic of La Prevostura’s young Lessona wines from newly planted – but historical – sites that lay barren for almost a century. Despite this new and exciting venture, the promise of old-vine Lessona under Cristiano’s direction has likely been put on the shelf for a while. 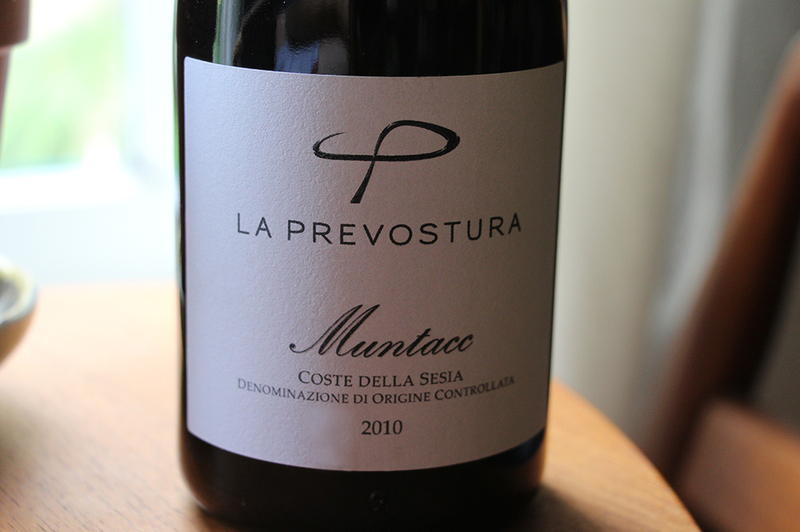 Indeed, La Prevostura’s wines come from new vineyards whereas most of Sella’s were well beyond 50 years old. Often times, it is easy for experienced wine drinkers to feel the difference between wines made from old and young vines. Even if Cristiano continues his work with La Prevostura for decades, it will take time for us to feel a depth comparable to what the old vines produced under Sella’s best bottlings. Halfway through my first draft of this piece, I was stopped dead in my tracks. Unexpectedly, one of Tenuta Sella’s family members reached out to me. It was crazy timing. At first, I joked that their ears must have been burning from my writing, but it was likely the sting of the loss of their entire supply chain – every importer in the United States quit working with them after Cristiano’s departure. I had a great sense of relief when I spoke with them about where the estate was headed and I shared my love for the wines that Cristiano made with them. Our conversation gave me hope that Sella may continue to rise with their newly acquired and seemingly intelligent, outside winemakers. They had nothing but great things to say about Cristiano and they were proud to have him as long as they did. They also made it clear that they wanted to keep his vision alive. This was nice to hear. However, without Cristiano’s gifted nose, in the glass, and his youthful idealism, it seems impossible for the wines to bear the same results. On the brighter side, there is always the possibility that they could be even better. That would be a great surprise. Had I written this story more than a year ago, my excitement and obsession over Sella, Lessona, and the promise of Cristiano’s natural-born talent would have overflowed from my mind faster than my fingers could’ve kept up. The Once and Future Queen would’ve been a story that I wrote with confidence as I counted the unstoppable resurgence of this historic appellation in the hands of Cristiano. Today, with Cristiano off the watch, I am less sure that what could’ve been will ever be. Many times, when writing this story, I found myself lost in my feelings about what happened. As I wrote and rewrote, I eventually came to peace. Indeed, this is likely the beginning, not the end. After all, most triumphant stories spring from tragedies. As I worked my way through, the story shifted gears and became something totally different from what I set out to write. It became about what happened after that kid, seventeen years ago, hurriedly walked out of a bookstore with a book that would change the course of his life. I asked Cristiano the question over and over, searching for clues about how it all started. He continually expressed that it was a mystery to him. I’m not a superstitious person, nor do I subscribe to fate, but sometimes we come across people who inexplicably seem to be born with a calling. No matter what the future brings for Cristiano, Lessona and Sella, some of us were moved by their unique and blissful combination. 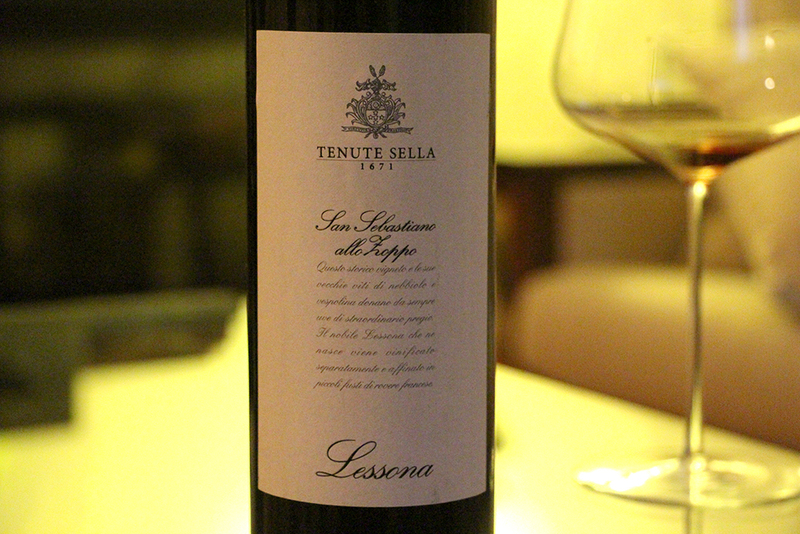 They gave some of us a glimpse into why many once considered Lessona to be the greatest red wine made in Italy. 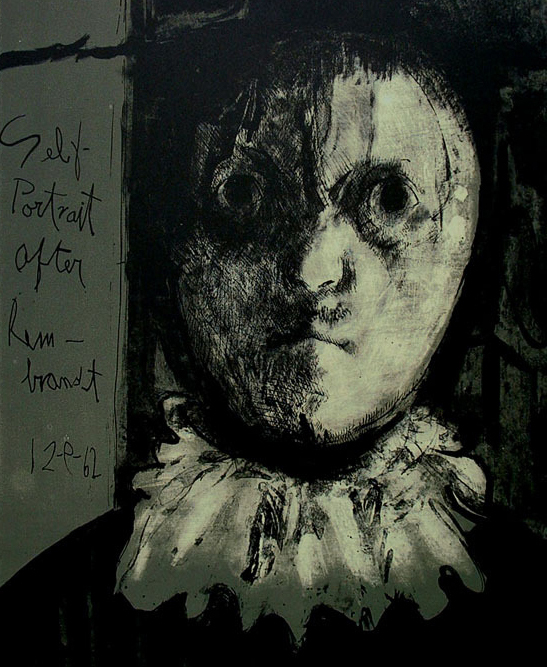 (2) The opening image is a piece by Jose Luis Cuevas entitled “Self-Portrait after Rembrant”. It is a piece that hangs in my house. I, along with numerous others, have thought it has an uncanny resemblance to the young Cristiano. This entry was posted in Italian, Piedmont on December 4, 2014 by Ted Vance. If you want to keep up with each post, put in your email address below. Don't worry, I have nothing to sell you and will only send you my posts.